The Avenue Series at Cabin Branch features four levels of open designs, perfect for entertaining or everyday life. 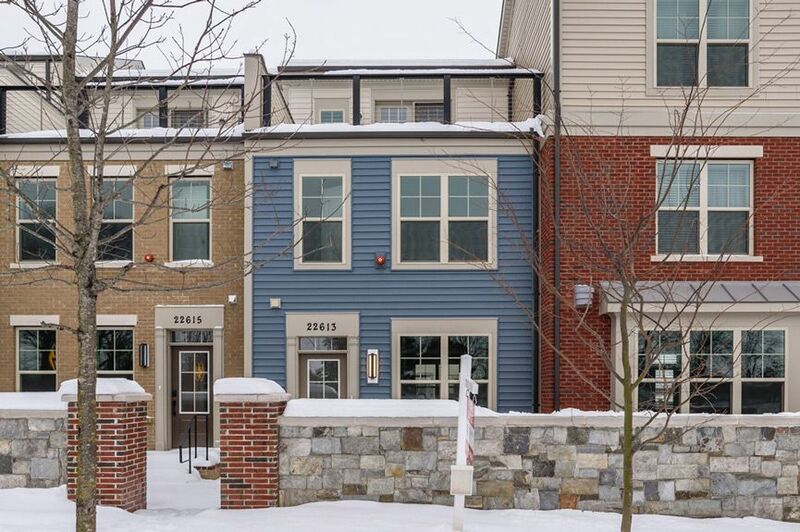 The Avenue Series brings urban-inspired townhome living to Cabin Branch.With flexible spaces and personalization options, choose one of these townhomes to live in style and comfort. You will have plenty of space to entertain guests or unwind and recharge in your home’s spacious, central kitchen or on the rooftop terrace. Make the space fit your unique needs by choosing an extra bedroom, a study, a game room or a fitness room. Whatever floor plan you choose, you’ll be able to personalize the design with your own style. By choosing a home from the Avenue Series, you gain access to a naturally beautiful community and modern convenience. While you’ll love spending time in your gorgeous new home, you’ll also find enjoyment in the surrounding area. The community pool and clubhouse, Black Hill Regional Park and Clarksburg Premium Outlets® are all just short distances away. You’ll discover a lifestyle you love in an Avenue Series home.